Ok…it’s been quite a week. You might recall I blogged last week from Germany, and this weeks Diva Challenge (#287) was completed in Venice, but I’m writing this in my hotel in Cookham, Maidenhead, England. It has been a lovely vacation…Venice was amazing! Complete with gondola ride! Filled with beautiful black paper! So this weeks Use My Tangle (UMT) is from Daniel Lamothe CZT, and he provided us with a tangle/reticula called Dreamcatcher. I think it is a lovely idea, and decided to keep it a little simple in my new journal. 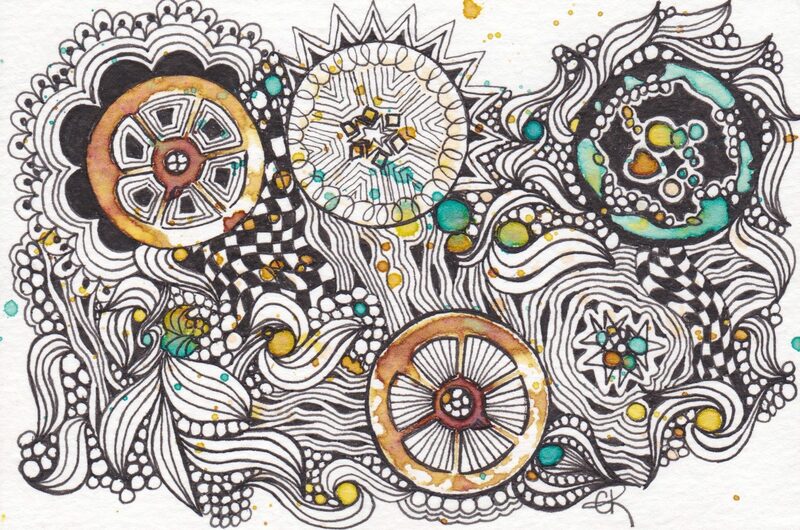 (It is just under 4″, so perfect Zentangle size!) 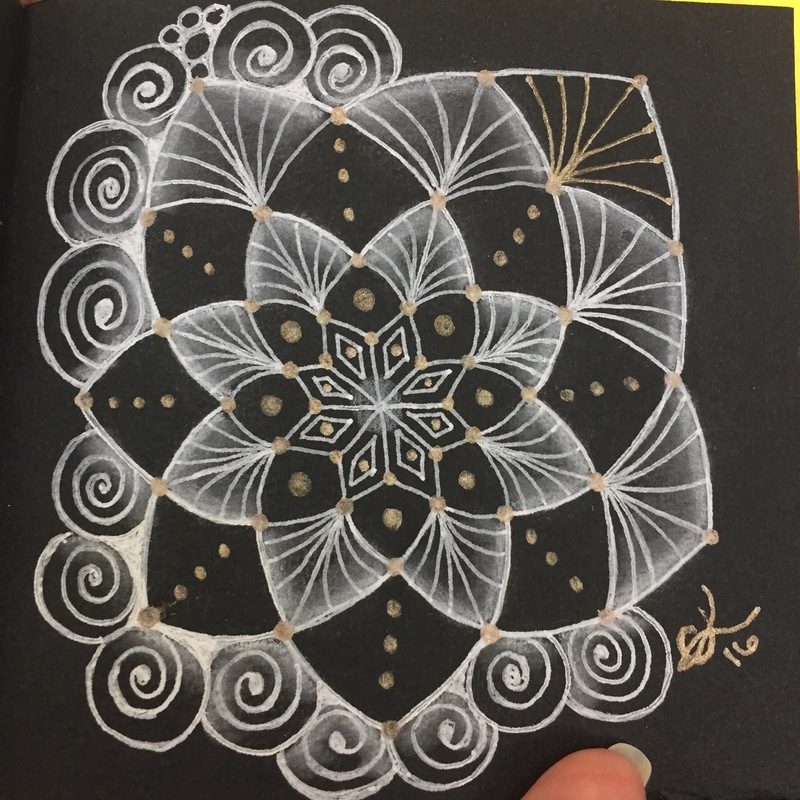 White and Gold Gelly Roll, and White Chalk Pastel pencil. A very nice picture of a happy couple in Venice and a very nice dreamcatcher that you have made. That tile will always remain a beautiful memorie of this trip! Looks like your trip is still going well! Beautiful tile in your new little book. Can’t wait to hear about Tangle EU! 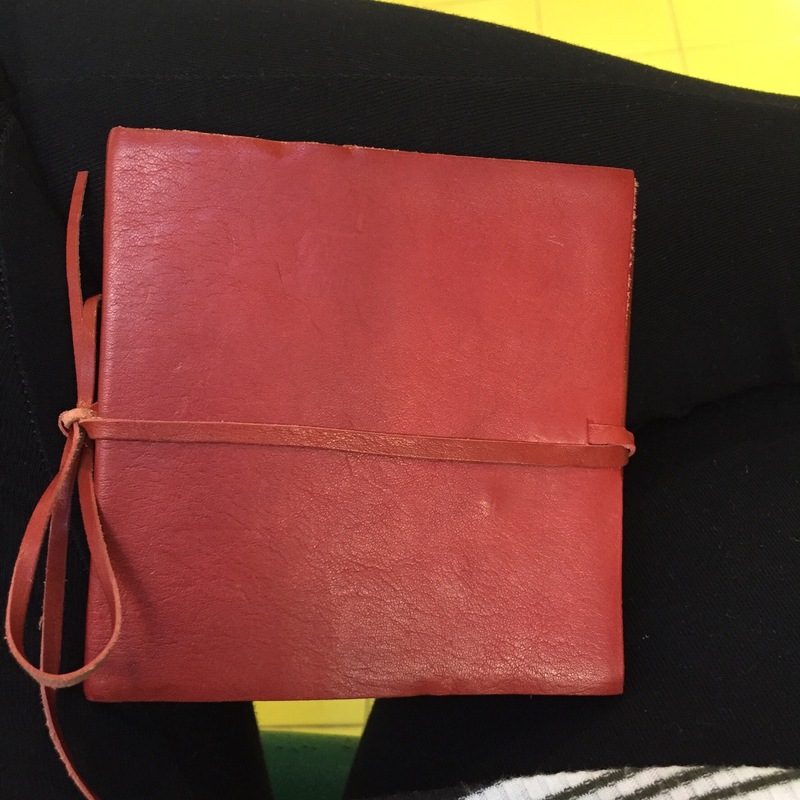 I love that little red leather journal you found. Perfect that it had black paper that’s just the right size. And your Dreamcatcher tile is wonderful. I love the little spots of gold. Sounds like you’re having a wonderful vacation. I’ll be waiting to hear the stories when you get back. The dreamcatcher tile is beautiful!!!! Hope your time in UK will also be pleasant. So glad you are having this wonderful experience. Love the journal and the tangle in it. Wish we could have met while you were in the UK. Maybe next time. I like the delicate tracery of white on black for your Diva Challenge. 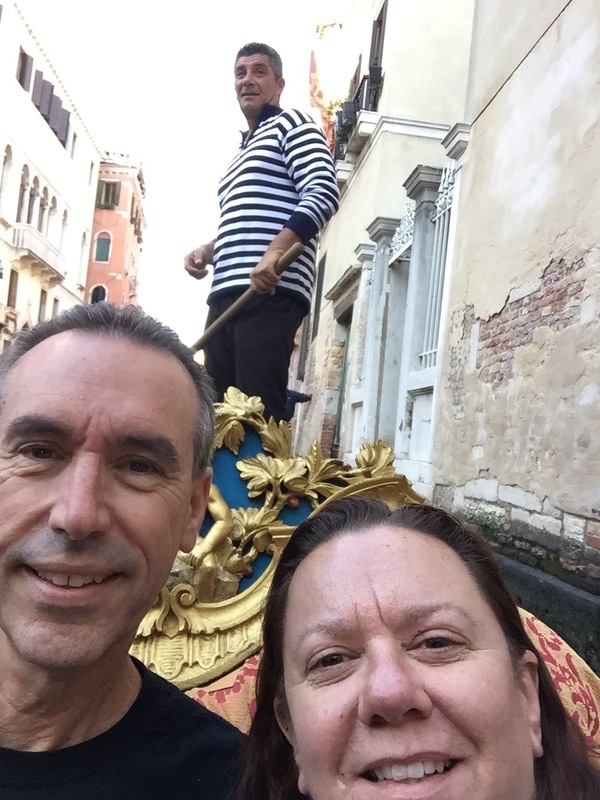 Love that you shared some of your trip with us, especially the gondola ride! Beautiful first entry into your new notebook!